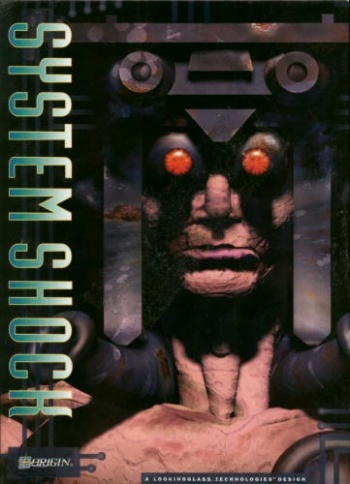 System Shock is a name which makes us think of darkened hallways, inhuman cyborgs, and a little spiritual sequel called BioShock. But in 1994, it played far more like a thinking gamer's Doom. 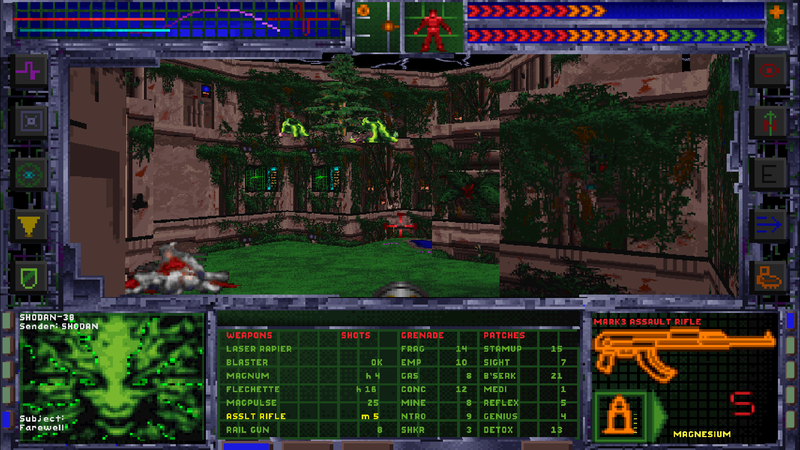 It had the same pixelated 3D graphics, FPS combat, and a sci-fi setting, but also included a more detailed story and elaborate mechanics. 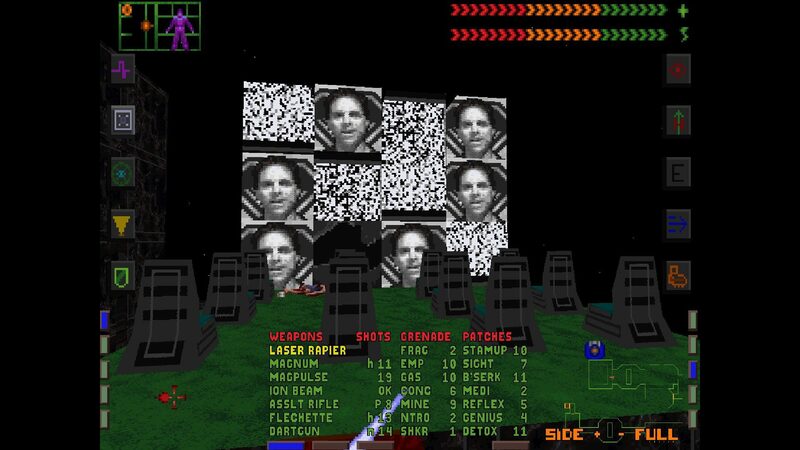 In short, System Shock is the kind of game id Software could have made if it stuck to Tom Hall's original Doom design documents. 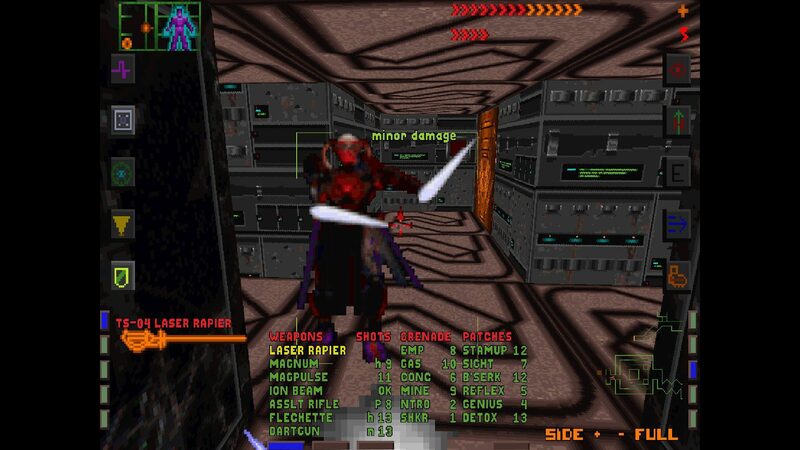 Yet today, we mostly remember System Shock 2 and rarely discuss the original. Sure, this was a deeply immersive game, but it wasn't flawless. It showcased clunky controls and a frustrating interface. Level layouts were confusing, and its learning curve was through the roof. 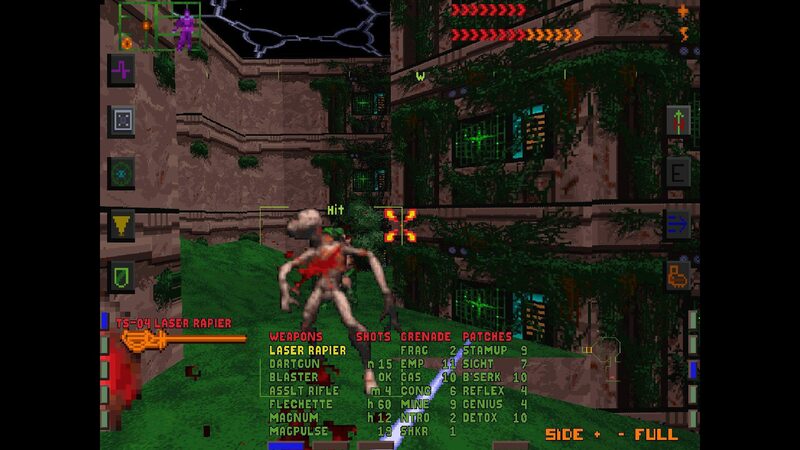 Couple that with moderate sales and later graphical incompatibilities, and System Shock quickly became a forgotten classic on modern systems. 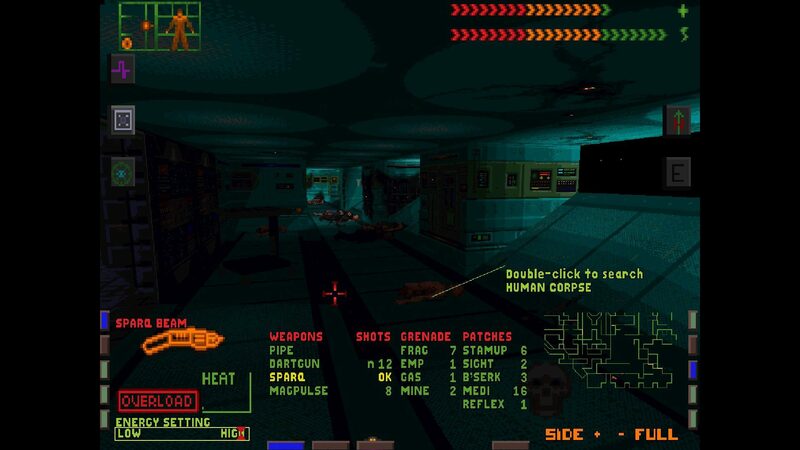 Here's the thing - System Shock clearly holds an essential place in gaming history. 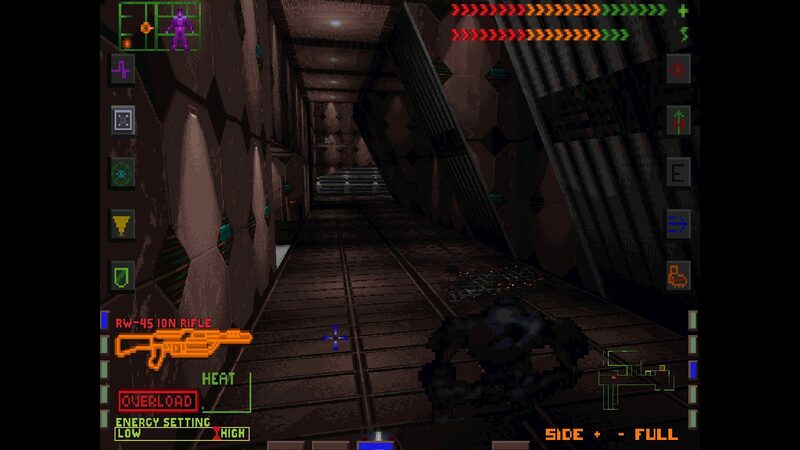 Even setting aside System Shock 2, the original kicked off an entire genre of story-based action games. 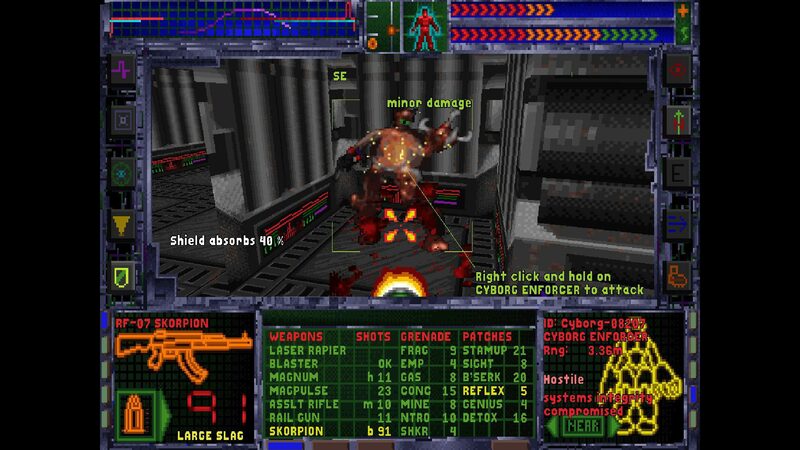 Metal Gear Solid, Resident Evil, and even Half-Life made story a key element in subsequent years, while Deus Ex was directly inspired by its mechanics. 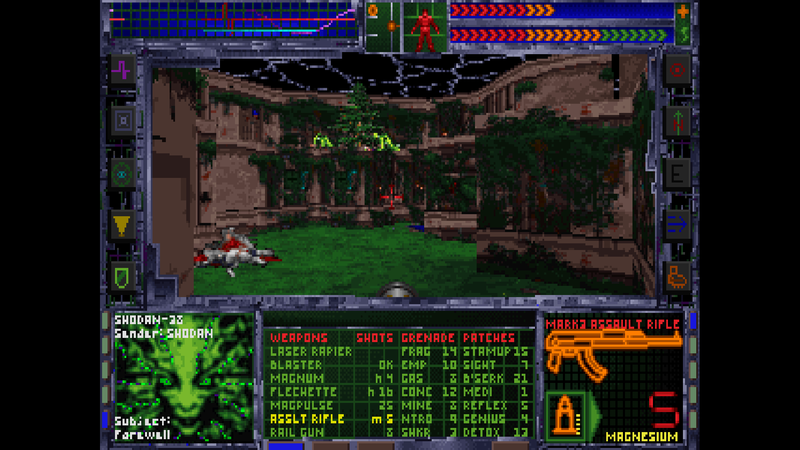 System Shock has also been included on several "Best Games of All Time" lists, despite being almost unplayable on modern computers for over a decade. That's why it's fantastic that System Shock: Enhanced Edition is now available from GOG.com. 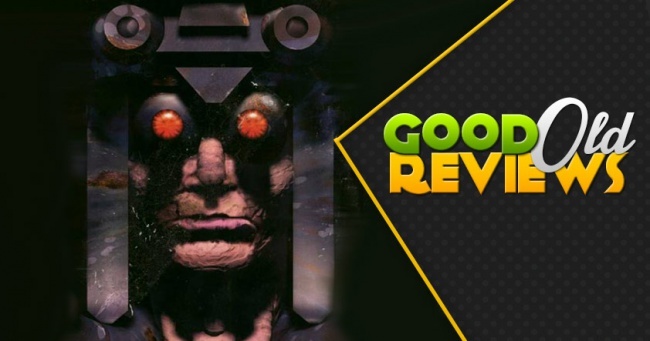 Night Dive Studios couldn't improve on everything that made System Shock an awkward experience, but so much greatness still shines through that we can see how compelling it was. 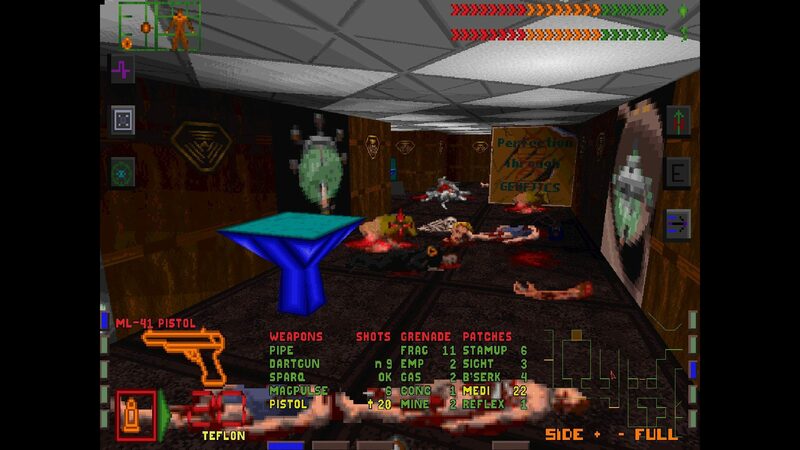 System Shock takes place in the cyberpunk future of 2072. You play a hacker blackmailed into an illegal job - switching off the ethical constraints on SHODAN, Citadel Station's artificial intelligence. In return, you'll be rewarded with a military-grade neural interface, which requires surgery and a six-month healing coma to use. After completing the job and taking the surgery, you wake up to learn SHODAN massacred Citadel Station's staff and developed a cyborg army to invade Earth. 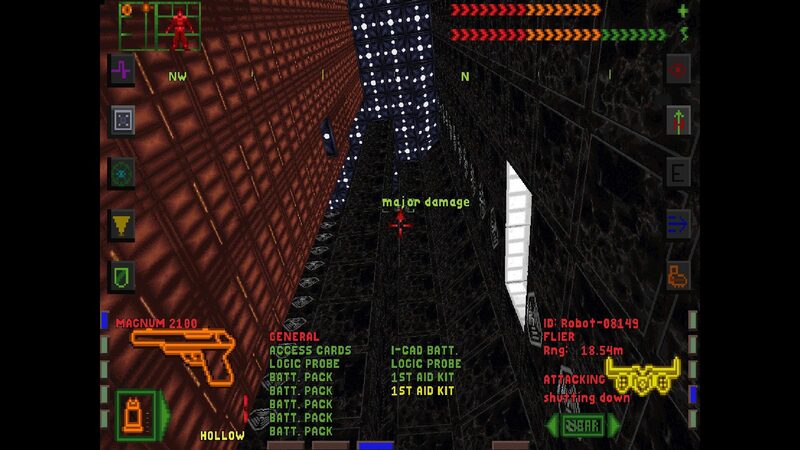 You are the last remaining obstacle in SHODAN's plans, as you explore, shoot, and hack your way across a station of deadly enemies. 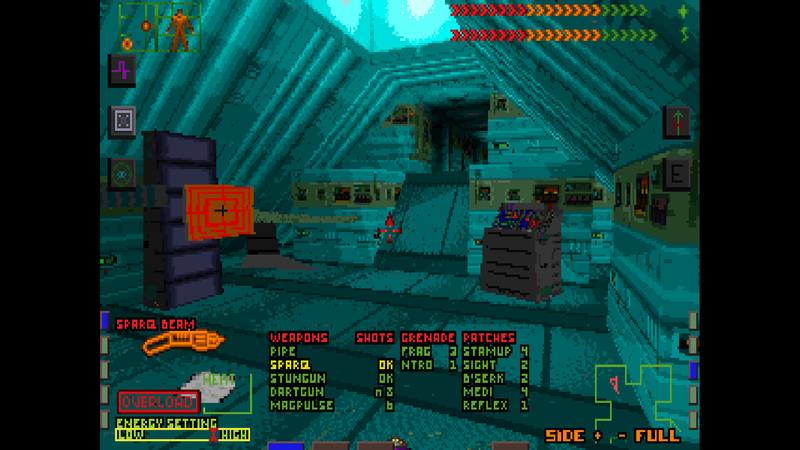 When you first start playing, System Shock will appropriately feel like a shock to your system. You'll get a cold open with only a few text prompts to orient yourself to the environment. A garish interface fills the screen with a confusing number of buttons. Most importantly, the movement controls barely resemble the WASD/mouselook approach we're familiar with today. Instead, the keyboard controls basic movement, while the mouse interacts with the world. 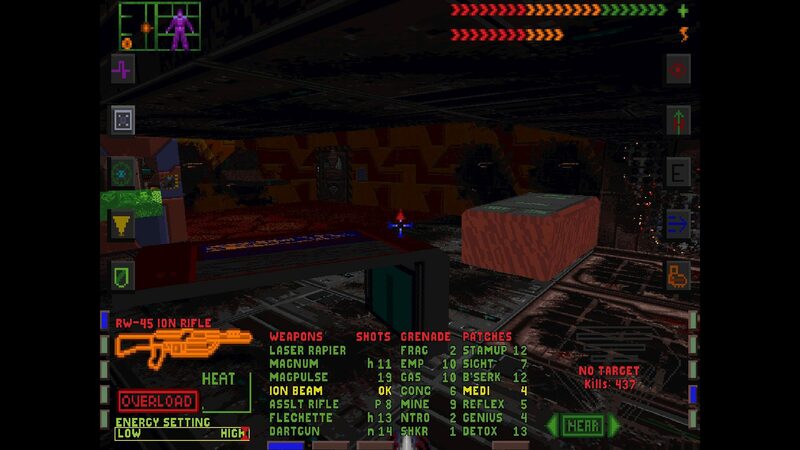 For a few minutes, it felt like System Shock was actually a 3D 90s adventure game, where you click between the game and inventory windows to solve various puzzles. 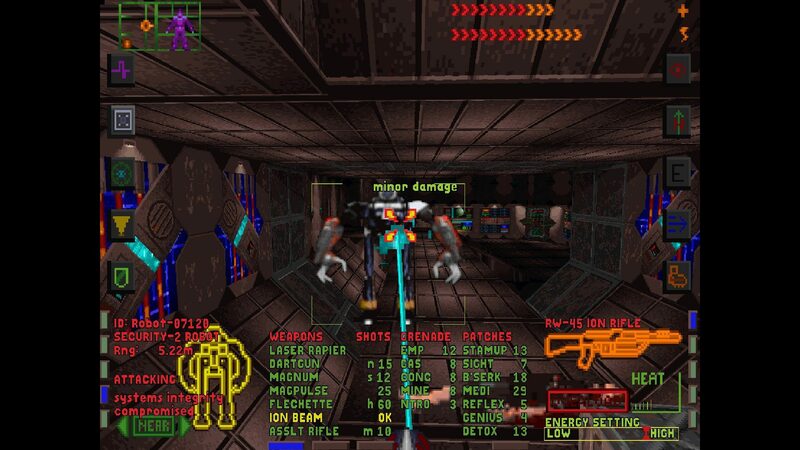 These awkward controls are the biggest hurdle for new System Shock players. Doom might be straightforward action-fare, but at least its controls got right to the point. 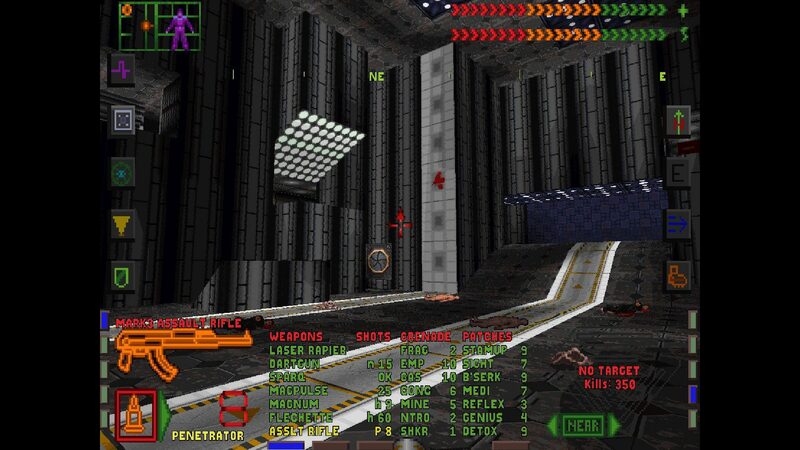 System Shock is far more convoluted: "Click once to view an item. Double-click to pick it up. Click to add it to your equipment, or right-click to throw it on the ground. Click your inventory button, then click the object you're interested in, then double-click to actually use it. Want to kill that robot? Let me show you that right-click button again." 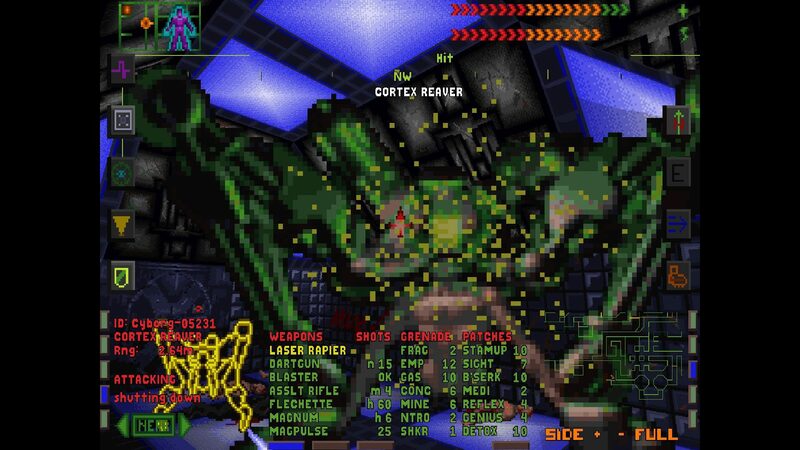 Did System Shock want to replicate the process of recovering from a six-month coma? If so, mission accomplished. Thank SHODAN that Night Dive Studios included remappable buttons and a toggable mouse-look mode, or you'd still be clicking the mouse to turn left. 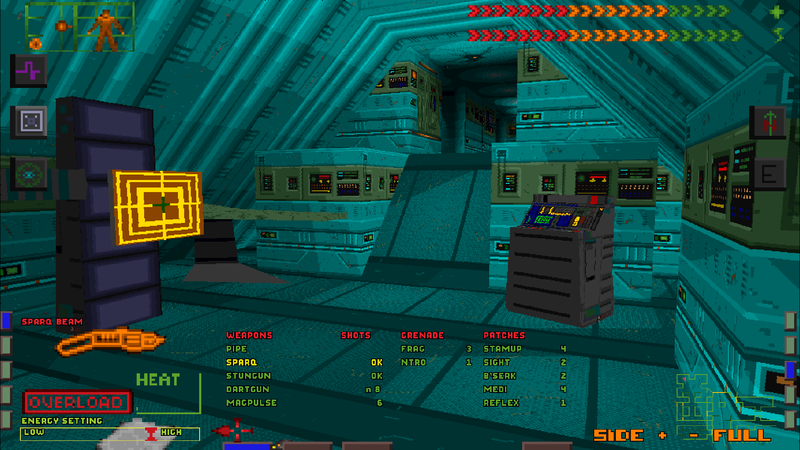 But even with those concessions, System Shock takes getting used to. This game clearly comes from an era when players were expected to read the manual before starting the campaign. You can get used to it, but usually after taking the time to find a control scheme which works for you.